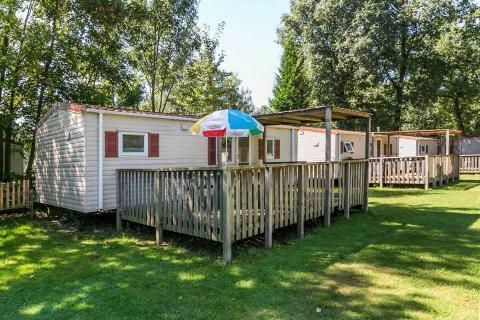 Vakantiepark Prinsenmeer in Asten - the best offers! 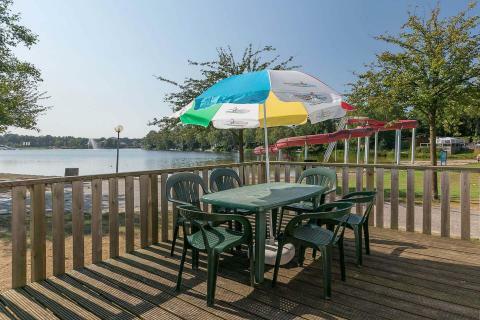 This price applies to 4-person mobile home/caravan Campinghotel, with the arrival as 3 June 2019, 2 Nights. 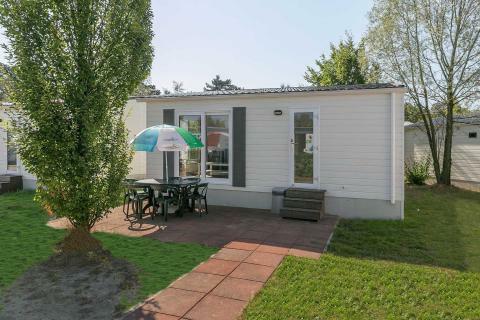 This price applies to 4-person mobile home/caravan Dennendijk, with the arrival as 3 June 2019, 2 Nights. 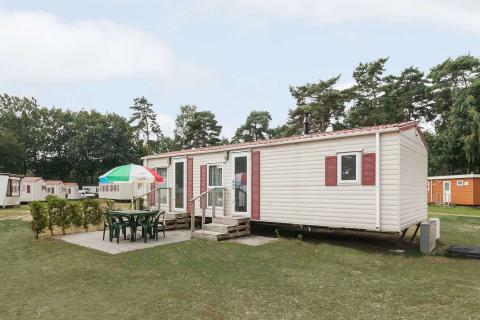 This price applies to 6-person mobile home/caravan Dennendijk, with the arrival as 3 June 2019, 2 Nights. 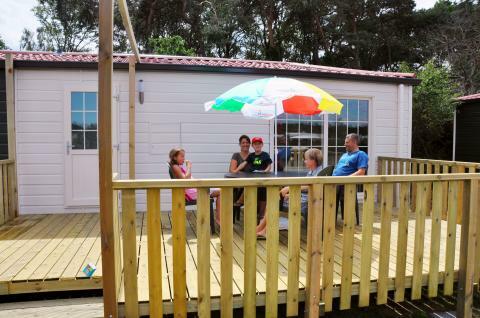 This price applies to 4-person mobile home/caravan Prinsenhof, with the arrival as 3 June 2019, 2 Nights. 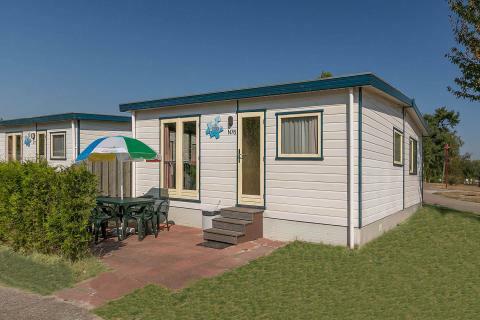 This price applies to 4-person mobile home/caravan Dennendijk Water, with the arrival as 3 June 2019, 2 Nights. 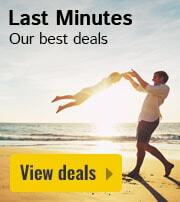 This price applies to 6-person mobile home/caravan Ommeloo, with the arrival as 3 June 2019, 2 Nights. 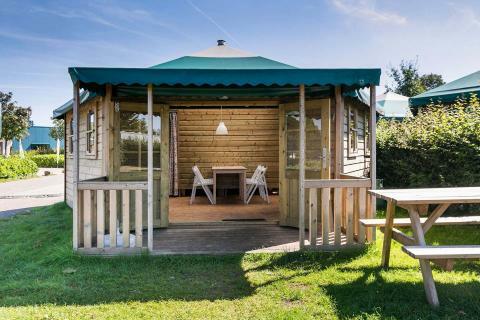 This price applies to 6-person mobile home/caravan Peelchalet, with the arrival as 3 June 2019, 2 Nights. 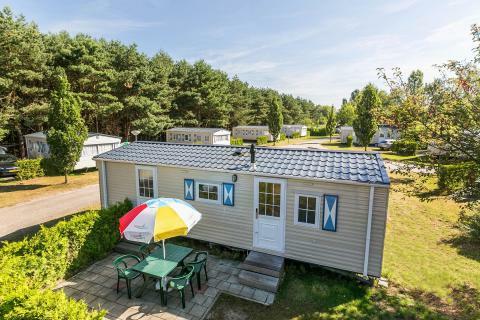 This price applies to 6-person mobile home/caravan Prinsenchalet, with the arrival as 3 June 2019, 2 Nights. In the beautiful landscape of the De Peel, a region that straddles the border between North Brabant and Limburg, is the Vakantiepark Prinsenmeer. 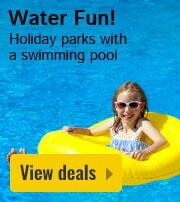 The park is a paradise for children, with an indoor pool and a recreational lake! The Peel is a paradise for nature lovers. There are many museums and attractions, such as the Beeldenhof sculpture and the National Carillon Museum. Combine your stay with a visit to Toverland amusement park. Vakantiepark Prinsenmeer has something for all ages. Water lovers will be especially at home at this holiday park, which features an indoor tropical swimming paradise with many children’s facilities. On the sandy beach or the lawn you can relax and enjoy the sun, or play sports such as beach volleyball. 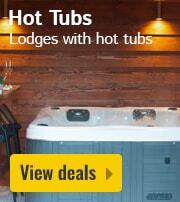 The whole family can also rent pedalos and enjoy the recreational lake together. At Vakantiepark Prinsenmeer, children will have a whale of a time. In the subtropical water paradise, children can enjoy themselves on the toddler slide, water cannon and the bubble bench. There is an 80 metre slide with dazzling light and sound effects, among many other water attractions. Outside, there is the lake and sandy beach with several slides, paddle boats, a pirate ship and beach volleyball. Had enough fun in the water? Then play in the indoor play centre with numerous climbing frames and ball pits. There is also a air trampoline. The covered plaza at Vakantiepark Prinsenmeer is filled with cafes, restaurants and bars. The food options include a buffet restaurant, snack bar, ice cream parlour and supermarket. 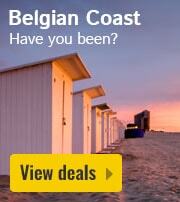 During the Dutch school holidays you will be entertained with music and swing evenings. Besides all the activities within the boundaries of Vakantiepark Prinsenmeer, there is also a lot to see and do in the vicinity of the park. De Groote Peel National Park is perfect for hiking and cycling, and horse riders will find many bridle paths here. In Asten, 2 kilometres from the park, you can visit National Carillon Museum, the Old Bill and the Botanical gardens. The indoor amusement park Toverland in Sevenem is a guaranteed fun day out for the whole family. 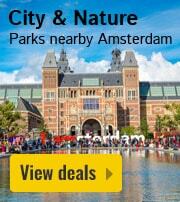 The cities of Helmond, Eindhoven and Weert are not far from the park. For most preferences/requests, a surcharge of €16.50 is applied. You will find these costs on the invoice from the holiday park. Pets are always on request. 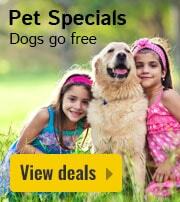 If you want to bring your pet, a surcharge of €5 per pet, per night will be applied, as well as a cleaning fee of €10. The Wifi is only at the restaurants available.